notes about the australian pressing numbers (10000 cds, 4000 vinyls, 1000 cassettes): back in early '92, local street press had full-page advertisements stating the pressing numbers. I asked Frank (Cotterell) at Waterfront Records back when I bought one of my copies from him in '95 - he said the same numbers, plus: his store got over 2,000 copies of the 12" for sale at the 'Big Day Out' concert (which still happens each year here) where Waterfront had a stall, and which Nirvana played one of their Sydney shows at. Almost all of the rest went to Melbourne, Nirvana's next destination, mostly to the shop Au Go Go Records.? notes white labels, plain sleeve. 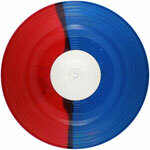 notes blue and red swirled vinyl, 4000 copies. the sleeves may look different in the shades of blue of the picture and the background, this is normal and doesn't mean that there were different sleeve versions or pressings. a few copies appeared around 2004 with a promo sticker (of a kind commonly used in the uk) on the barcode, but they may have been attached by some unscrupolous seller. notes first pressing, released in december 1991, unknown pressing amount. black titles printed on cd. made in USA because they couldn't press it fast enough to get it out in time for the Christmas 1991 sales period. Also, Geffen wanted to promote the upcoming Australian tour by getting something out in the shops as quickly as possible. notes second pressing, released in january 1992, 10000 copies. variation the printing on the inlays is slightly lighter, and the titles are more purple than blue. notes released on april 16, 2011, "record store day". ugly brown marbled vinyl. the total number of copies made isn't clear, official press releases say 4000 but later sources say 6000.
a sticker is included, advertizing the forthcoming nevermind 20th anniversary and the "1991: the year punk broke" movie reissue on dvd. the concert list on the back misses the number of the day for the gold coast concert. variation defective label. 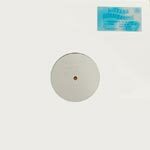 the label for side 1 has been stuck towards the edge of the record onto the vinyl grooves rather than placed properly in the centre. I assume this was done accidentally at the pressing plant. I have removed the label as best I can, but the label's sticky residue still remains which renders the tracks on side 1 unplayable.